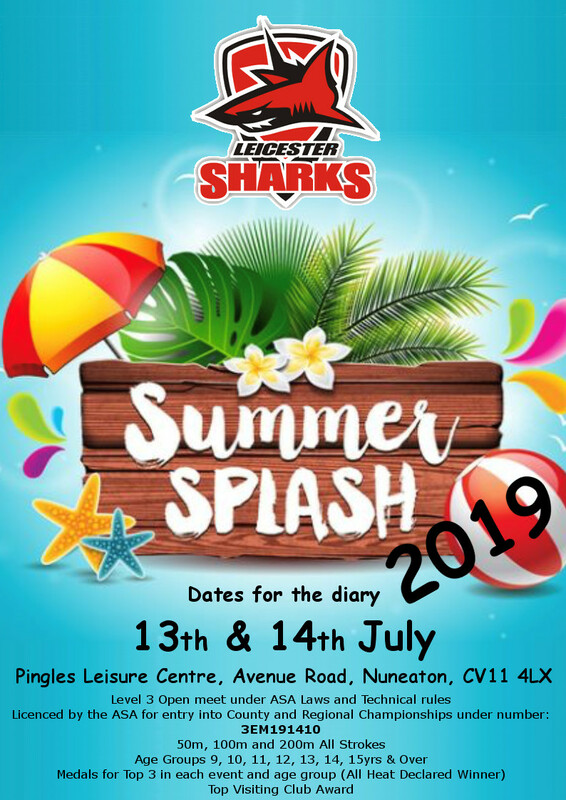 Leicester Sharks CSC are pleased to announce this years Summer Splash meet for 13th/14th July at Pingles, Nuneaton. Please click HERE for the information pack. Click HERE for the Sportsystem entry file. Leicester Sharks CSC looks forward to seeing you in the Summer.